It's been a long, long while since I've posted anything here. It's no coincidence that the date of my last entry wasn't long before the birth of my now three-year old son. I've also been in so deep on coding that I haven't had time to share what I've been up to. Cycles are opening here and there providing opportunities to reflect here on my work with technology. Here is a quick recap of the past three years. Pictured: Nearing the summit of Mt. Hood. I started running in 2013 and it's grown into something I never could have anticipated. 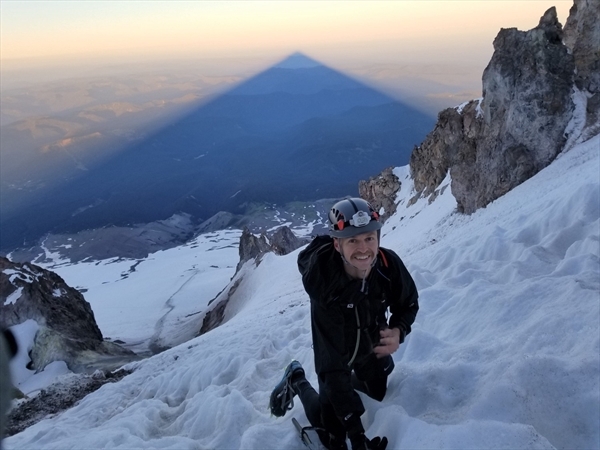 I completed my first 100+ mile race in 2017 and have expanded into mountaineering, rock climbing, and an assortment of miscellaneous backcountry activities. I have a blog about all that stuff here . On December 17, 2014, I became a father. Pictured: Henry, just before his third birthday when we were in Kauai. Those are my excuses for not posting here. But I'm back. I've given the blog a little redesign (with almost no modification to the core code -- hooray future-proofing! ), archived the irrelevantly dated stuff, and am ready to start sharing projects and code again. Stay tuned.